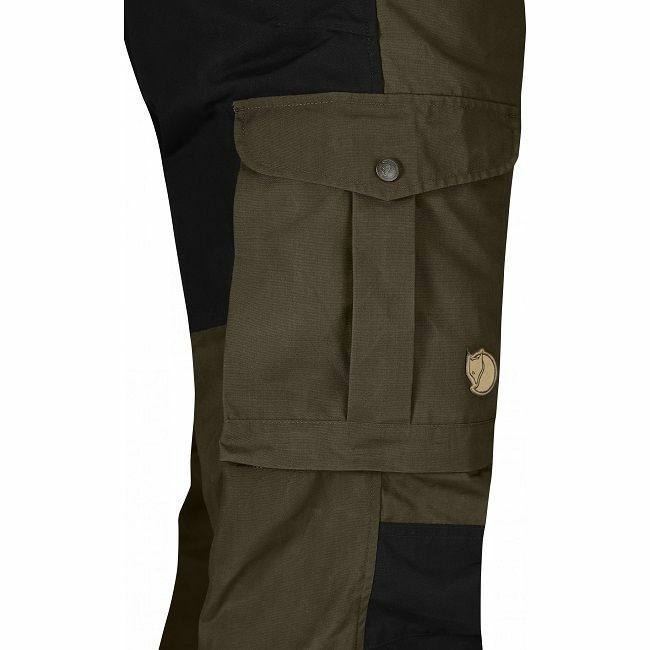 Fjallraven Vidda Pro Trousers are built tough. 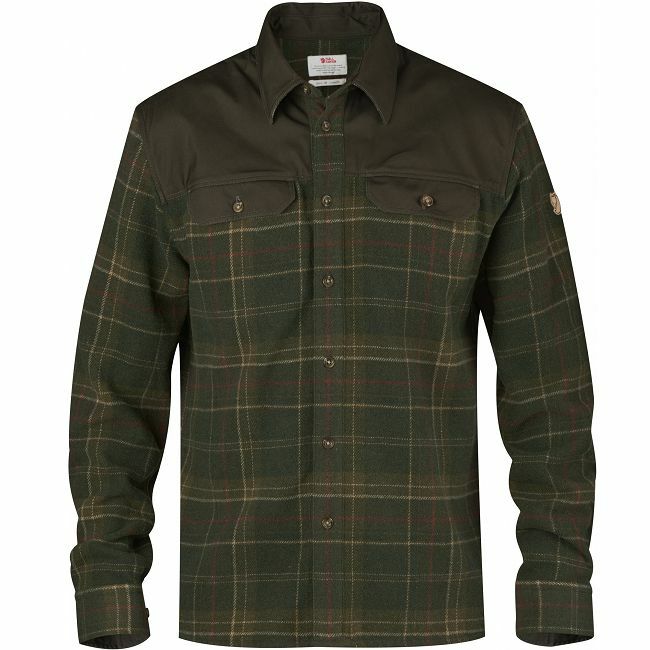 Whether you use them trekking, hunting, Bushcraft or work they are a comfortable trouser that are going to last. 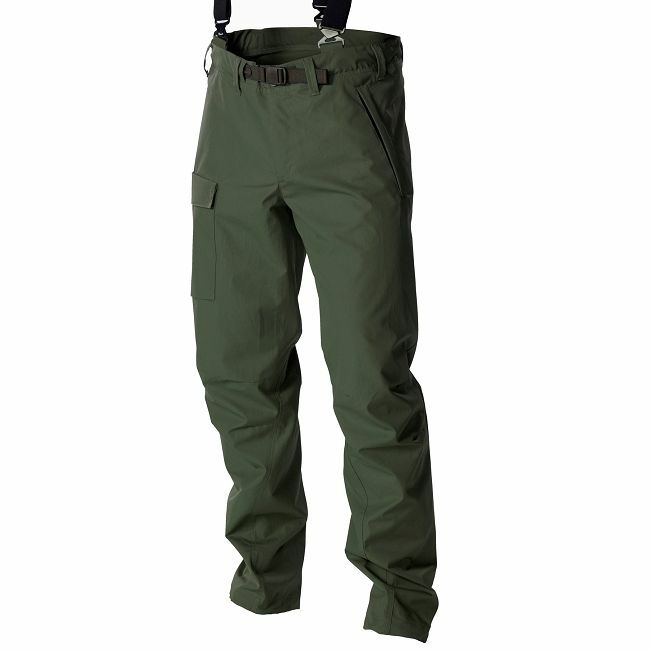 The classic, tried and true Vidda trousers are essentially the same as the Barents Trousers except they have a elasticated and press stud bottom to the legs and have a knee pad pocket. 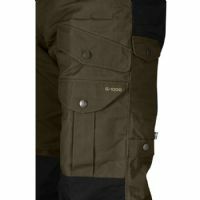 They are one of the most popular (for good reason) trousers that Fjallraven make. 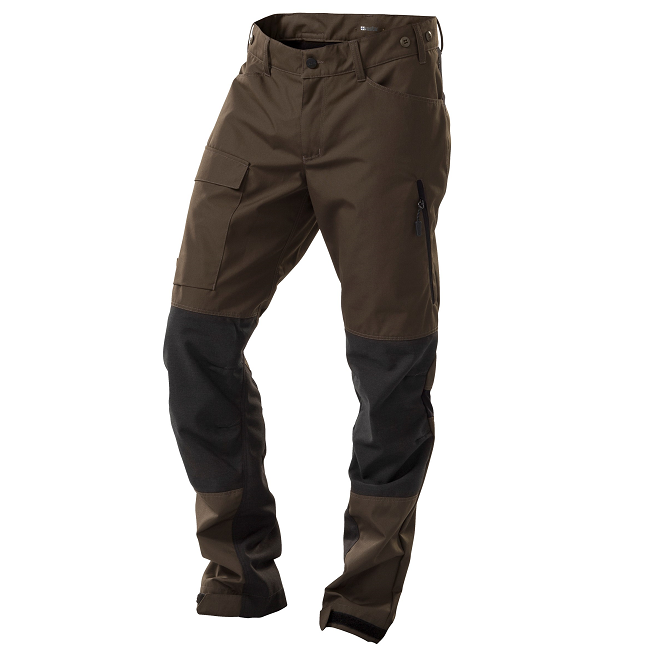 Fjallraven Vidda are trousers for tough trekking and active outdoor use in both summer and winter. Vidda are made of hard wearing and super tough G-1000® fabric and have extra reinforcements over the rear and knees to handle tough treatment. 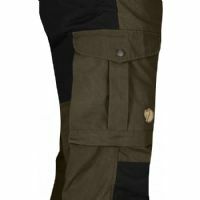 The trousers are really versatile as they have seven pockets, including a map pocket, axe pocket and inner safety pocket. High waist and comfort fit. 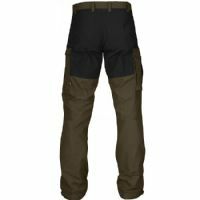 Vidda have a fixed length, which does not allow any adjustment but if you have a long leg or would like to tailor trousers to your exact specification then you are best going with the Barents.